The Te-VacS is a complete automation option for cartridge-based filtration and solid phase extraction (SPE). 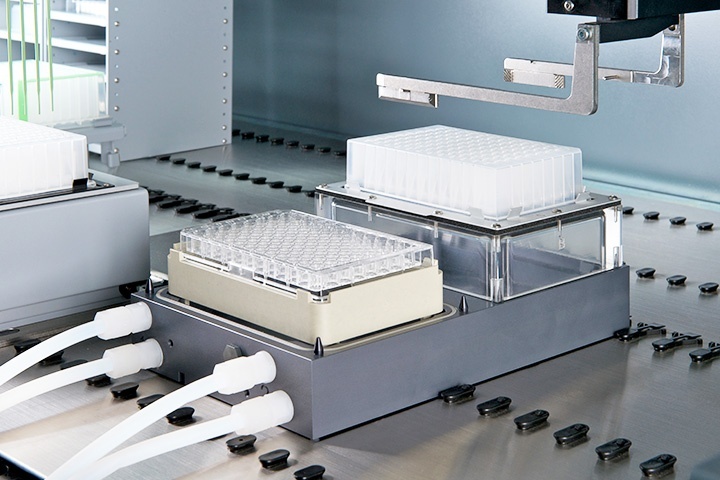 The system can be assembled by the RoMa Arm for fully automated operations, and is ideally suited to DNA/RNA extraction, viral RNA isolation and compound purification. Smooth pressure regulation allows safe sample extractions without contamination. Process scale-up can be realized by parallel use of multiple vacuum separation modules on one single workstation.